Two participants shoot side by side to try to get as many basketballs in the hoop within a certain time period as possible. The participant with the most basketballs in the long net is the winner. 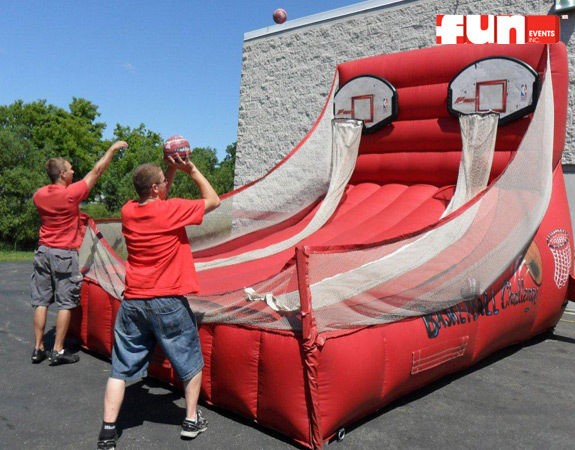 This fun free throw basketball game party rental idea can also be played for fun prizes.